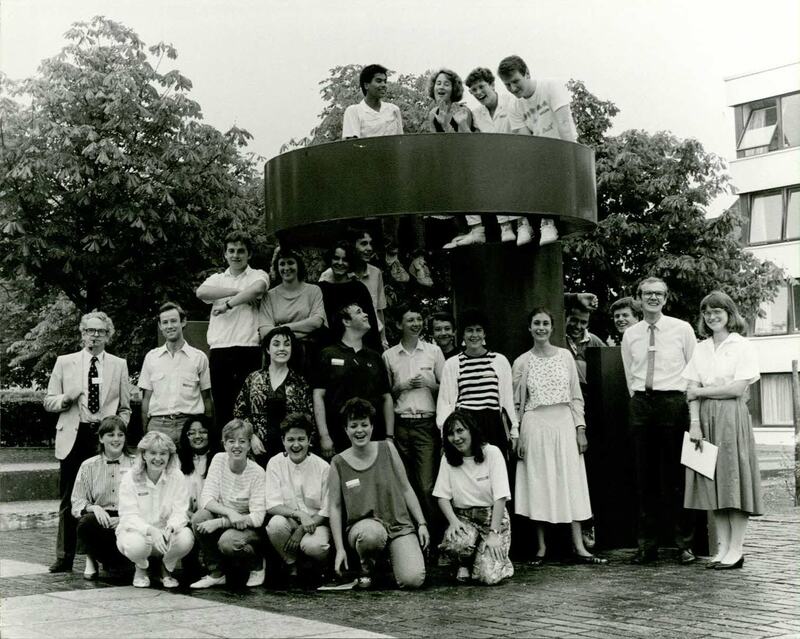 The Department for Culture, Media and Sport has today listed 41 post-war public sculptures across the country including University of Warwick’s 3B Series 1 Sculpture, in Rootes Building courtyard, on main campus in Coventry. The sculpture forms part of an irreplaceable national collection of public art now being recognised and protected by Historic England. 41 sculptures across England designed to bring our public spaces back to life after WWII newly listed by Department for Culture, Media and Sport. These sculptures were designed to bring our public spaces back to life after the Second World War as England began to repair its shattered towns and cities. This art was created for everyone, to humanise and enrich our streets, housing estates, work places, shopping centres, expanding universities and schools. 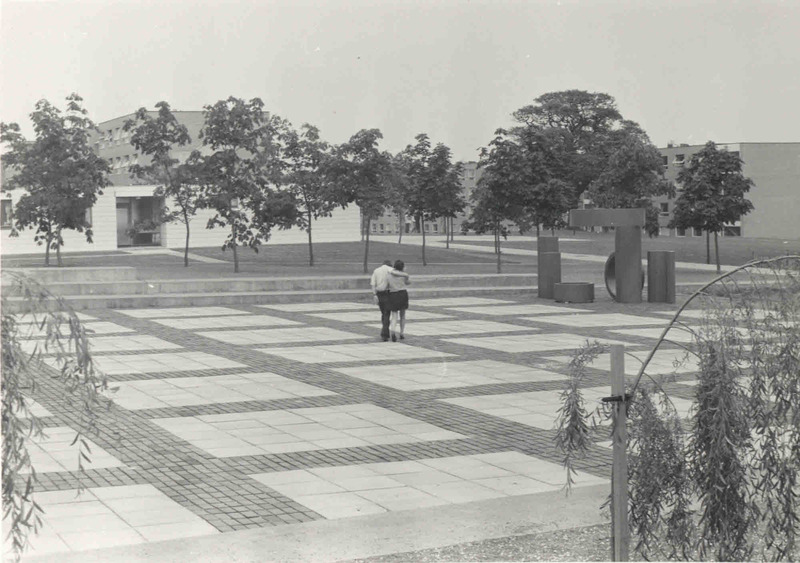 For decades, the Rootes Hall Courtyard on the central campus of the University of Warwick has been known as Red Square. This is not due to any past attention to the Soviet Union but rather, because a large red sculpture called 3B Series 1 dominates the space. Now the work, by the artist Bernard Schottlander, has been listed as Grade II by English Heritage. Schottlander was born into a Jewish family in Mainz, Germany but escaped to Britain aged 15 in 1939. He was apprenticed as a welder and plater in Leeds but studied sculpture at evening classes at Leeds School of Art. After serving in the army during the war, he set up his own industrial design workshop in 1951 and produced the "Mantis lamp", an elegant adjustable lamp that is now a design classic. Bernard Schottlander became a full-time professional sculptor in 1963. In this, he was helped by the University's architect Eugene Rosenberg, himself a Jewish refugee who had lost his parents and six siblings in the Holocaust. Rosenberg actively supported many refugees and in 1968 he successfully obtained a grant of £1500 from the Arts Council to buy this work for the Rootes Hall Courtyard. Then, the paving was a grid of squares outlined in brick, suggesting the floorscape of a Renaissance painting. The buildings were clothed in their original white tiles which now can only be seen on the columns at ground level. The red forms offered a vivid splash of primary colour in the monochrome landscape. It is a group of geometric shapes: cylinders and rhomboids with a precariously balanced circle on top of a half cylinder. 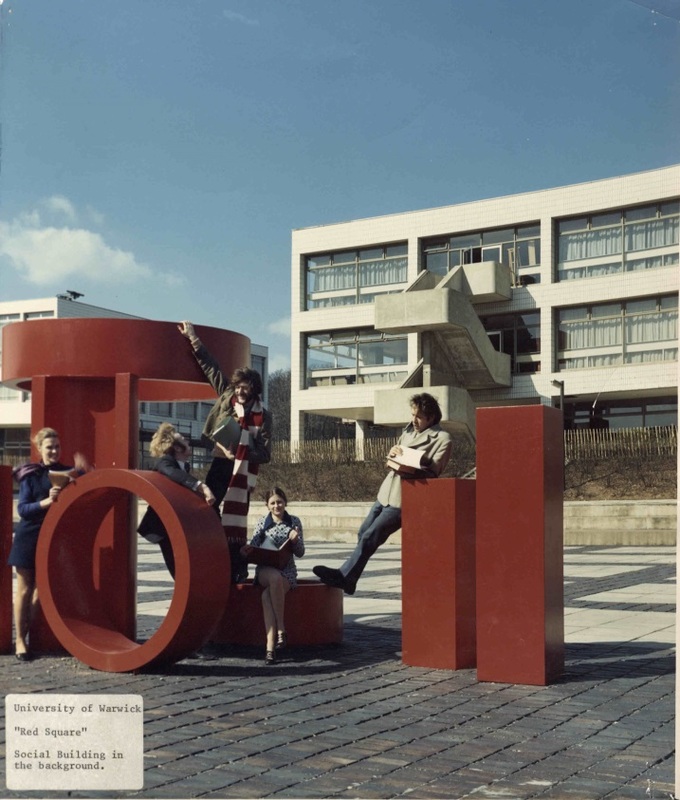 Legend has it that they spell the word t-o-i-l to the students looking out on the work from their study bedrooms in Rootes Hall. 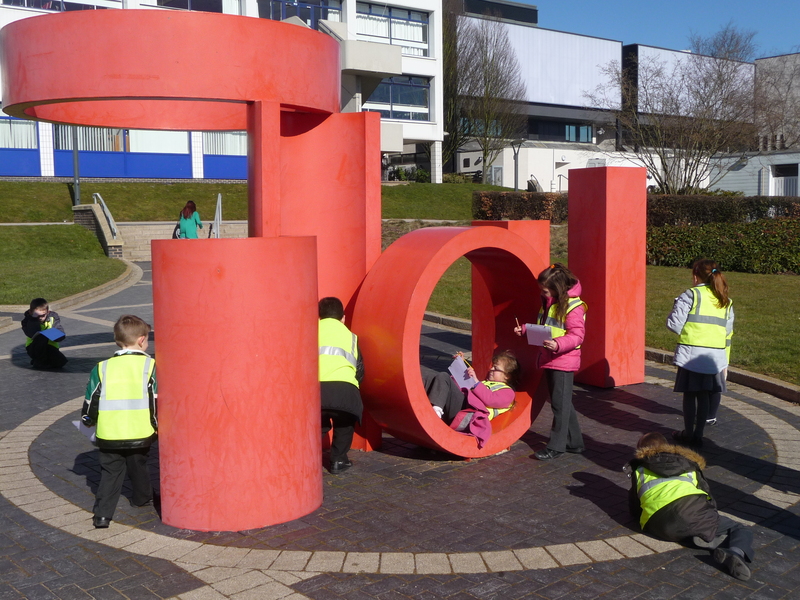 Today, the sculpture is a centrepiece of the University of Warwick's Sculpture Trail. Thousands of children have explored it with the help of the Mead Gallery staff and student leaders. It always gets a strong response from the children who identify the primary colour and mathematical shapes as something that speaks directly to them and they quickly understand that this is a sculpture that uses a universal language to invite play.